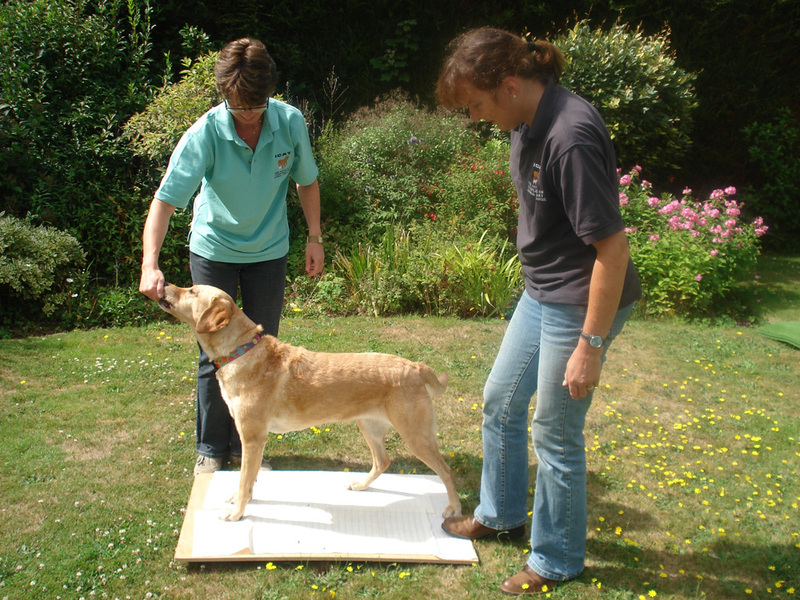 Programmes are designed to fit the needs of individual dogs and to be appropriate to their life styles and home circumstances. The following photographs show some examples of the types of activities that could be included in a rehabilitation programme. 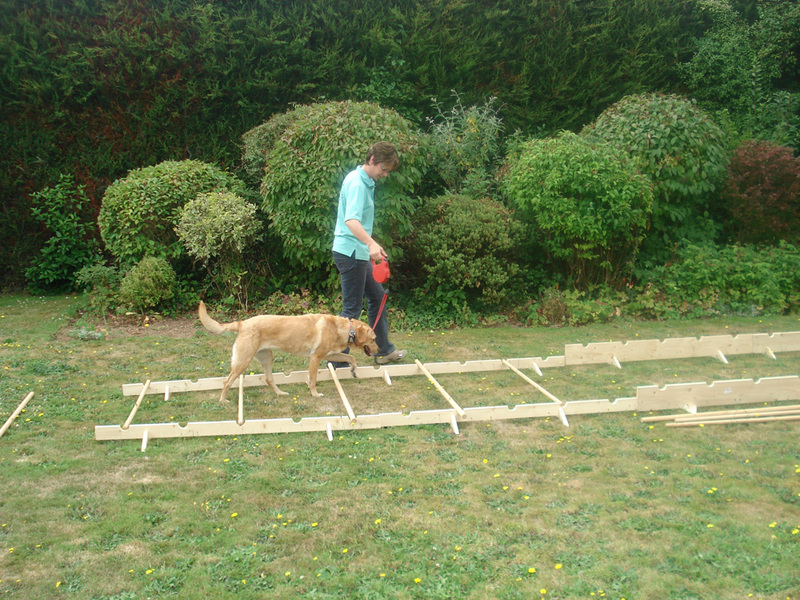 Using different textures between poles further increases a dog’s awareness of its feet in order to develop greater concentration on how and where it places its feet during movement. 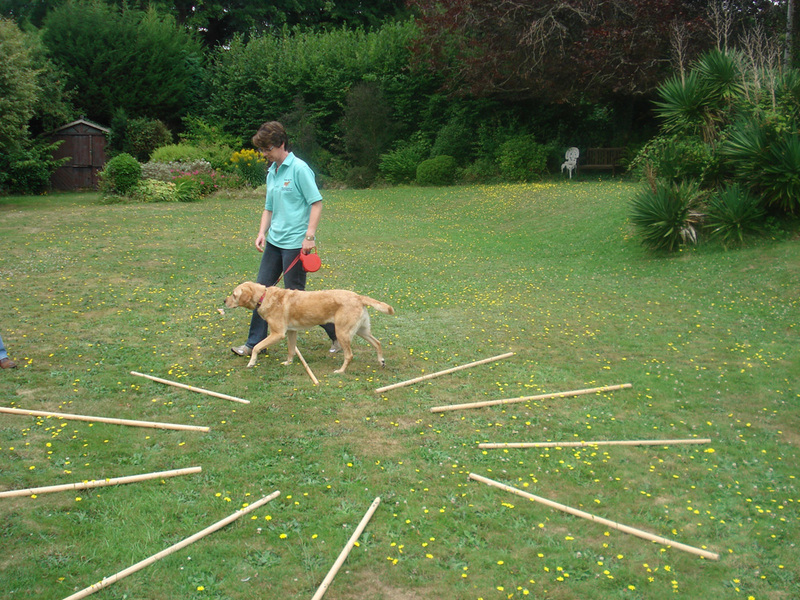 Using poles in a circular pattern encourages a dog to turn predominantly to the left or right, either quite tightly in the centre of the circle or more shallowly at the outer edge of the circle which can help counter any tightness that has developed particularly along the latissimus dorsi or trapezius muscles. Walking in circles also encourages dogs to weight bear on limbs which it may be favouring due to injury or surgery. It also requires a greater concentration from the dog regarding the placing of its feet as the pace length will be uneven. 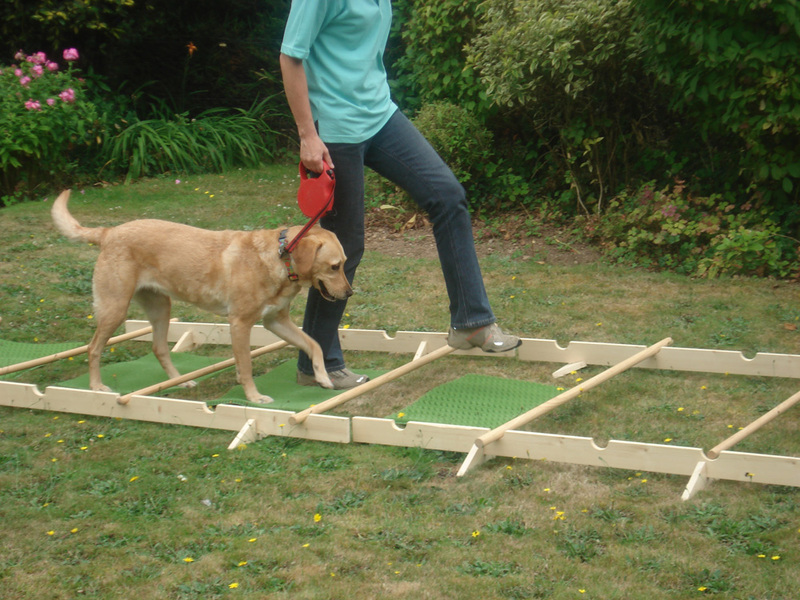 A wobble board allows muscles to be exercised around the hip and shoulders particularly, as the dog works to maintain its balance as the board moves. This is particularly useful for dogs who have recently undergone surgery for hip or cruciate ligament problems as it allows the muscles around the joints to be exercised before the dog is ready to resume on lead exercise and so keeps muscle wastage to a minimum. 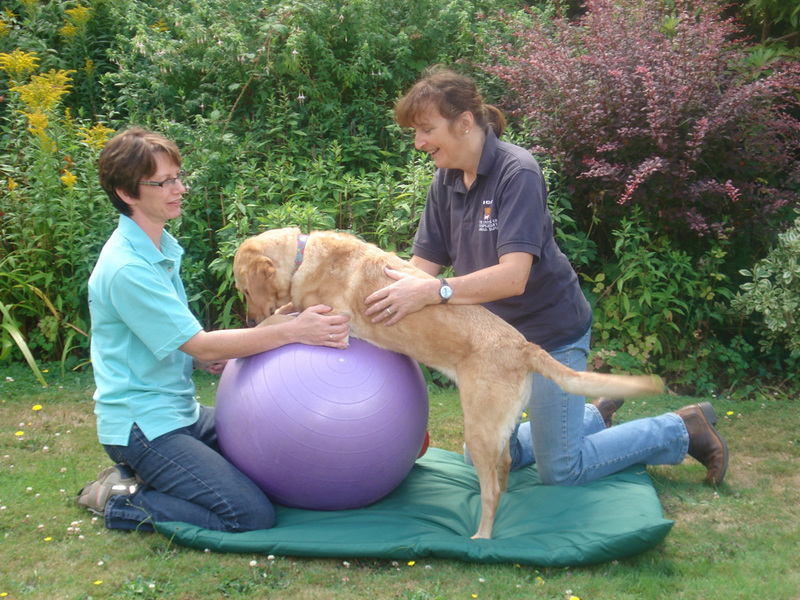 Use of a fit ball encourages a stretch around the hip joints and encourages weight bearing on the hind legs. As the ball is moved backwards and forwards the dog engages the muscles in its hind quarters in order to maintain its balance. Please contact us for more information and to find out if a rehabilitation programme would be suitable for your dog.